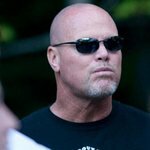 Jim McMahon spent 12 years in the NFL and is best known for leading the 1985 Chicago Bears to a Super Bowl Championship. After football, McMahon has dedicated a lot of his time to his two favorite charities – the Linda McMahon Foundation for Literacy and Players Against Concussions (PAC). Google trends for "Jim McMahon"
We don't have any videos related to Jim McMahon.